A standard G&G airsoft M4 is highly recommended for almost all skirmish environments and of course the model most commonly used for custom projects. 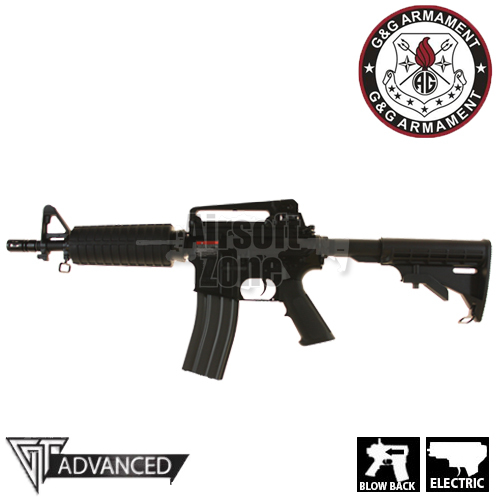 This particular model, being a short barrelled M4 would be perfect for those skirmishers who would be happy with a simple AEG, but still want a reliable airsoft rifle. Therefore I would consider it a most capable airsoft rifle straight out of the box, or an excellent starting point for building something special. For advice on custom projects, please feel free to give us a call or even better pop into our show room to discuss your needs.